In a new study from Lund University in Sweden, researchers investigated the risk factors for blood clots, i.e. venous thromboembolism (VTE). The results show a strong correlation between height and VTE risk for both women and men. The risk increases with height. Tall people have a higher hydrostatic pressure in the body, i.e. pressure from blood and other fluids, compared to shorter people, which could explain the findings. “We used several Swedish registers in the largest and hitherto only countrywide study. 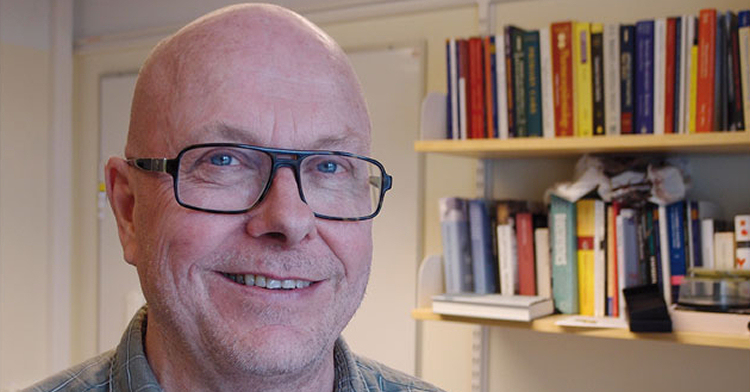 We are therefore sure that our findings are of high statistical significance”, emphasises associate professor Bengt Zöller of Lund University. VTE is the third most common cardiovascular disorder after heart attacks and strokes. A correlation between height and VTE has been described before, but the possible causal link was not established. Also, the correlation was not previously consistent among women. In the current study, the researchers found a strong correlation between height and VTE risk in both women and men. The correlation is attributed to the fact that the longer a person’s legs are, the longer their blood vessels need to be. This makes it more difficult for blood to flow back to the heart. This slow blood flow is probably what increases the risk of thrombosis. By analysing the correlation between height and risk of VTE in sibling pairs as well, the researchers could adjust their results for other genetic similarities and familial environmental factors. The correlation was nevertheless equally strong among sibling pairs, indicating that there could be a causal connection, i.e. that the height in itself, and not another factor linked to height, causes the correlation. For women aged around 60 with a height of around 155 cm, the risk of VTE is 3 per cent, whereas it increases to 6 per cent for women of the same age who are over 185 cm tall. For men aged around 60 and under 160 cm tall, the risk is 2 per cent, whereas for men of the same age over 190 cm the risk rises to 7 per cent. “We used several national registers that are, of course, anonymised, but invaluable for epidemiological research, such as the military register, the medical register of births, the patients register and the multi-generational register”, explains Zöller. “We hope that height will come to be included in risk assessments for VTE. Another question which needs to be answered is whether compression hose is effective in tall individuals to counteract the increased hydrostatic pressure. The new findings give rise to more in depth research”, concludes associate professor Bengt Zöller. The study is part of a research programme at the Centre for Primary Healthcare Research in Malmö, a collaboration between Lund University and Region Skåne. The programme investigates risk factors for venous thromboembolism (VTE) for better risk assessment, prophylaxis and treatment.